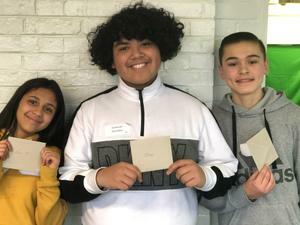 Congratulations to Windlake Academy on receiving a five year contract renewal from the University of Wisconsin System Board of Regents. 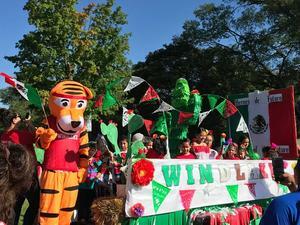 Windlake staff and students had a wonderful time participating in UMOS's parade celebrating Mexican Independence. Now enrolling students in grades 4-8 for the 2018-2019 school year. Call 414-672-0726 for more information. Windlake Academy's GOTR team has been working hard all season to prepare for a 5K (3.1 miles) on Sunday, June 4th. ​Windlake Academy held it's 2nd Tae Kwon Do belting ceremony last night! Students who were at a yellow belt earned their purple belts and students who were at while, earned their yellow. Students at Windlake Academy participated in their first belting ceremony for Tae Kwon Do on Wednesday. Windlake Academy, also known as Seeds of health Elementary, has received the Wisconsin School of Recognition Award from the Department of Public Instruction for the 2015-2016 academic year. 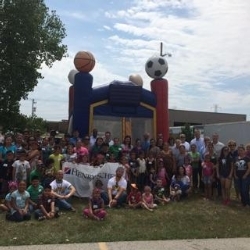 On August 13, 2015, Henry Schein Dental hosted a back-to-school picnic for 78 Windlake students and their families.